Have I mentioned how sweet I am with Amazon.com, and how I gladly pay them an extra $79/year to get free two-day shipping with their Amazon Prime Service? Do you consider me impatient and extravagant? (and gathered) in the wilderness, or what we now call the shopping mall? 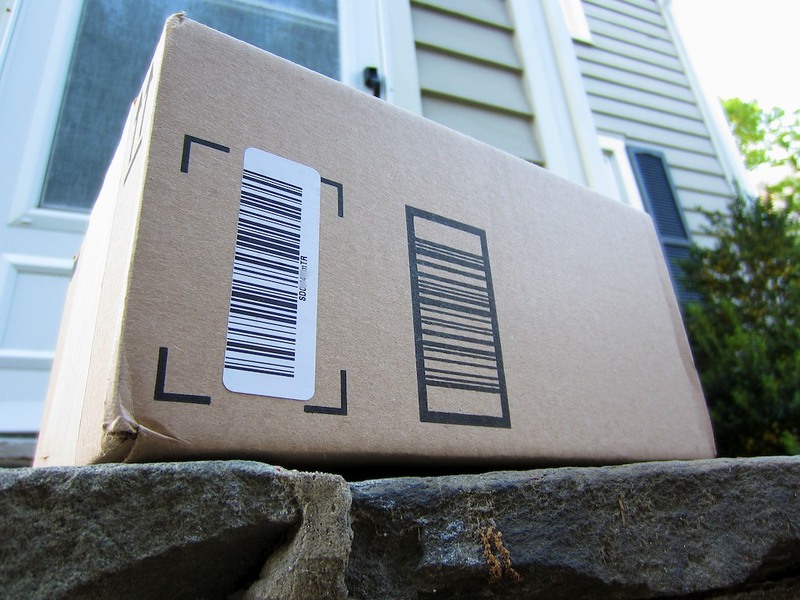 Do you feel you can’t trust a distant and faceless company with the very personal act of delivering to you what you used to get for yourself? I became a dad, and I lost all of my free time. I am a very proud 21st century father of a little boy who just turned two. But I’ve got to admit that life has gotten a bit disorganized lately. I need a little help. So I like to use available hi tech tools. Who’s Got Time for the Brick and Mortar Store? I don’t know how parents multitasked before Y2K, but I regularly tap the power of online shopping. In fact, I find buying our basic supplies online not a convenience but a necessity. Getting in the car to get to a store can take an hour or more. A few clicks on Amazon, and I’m done in three minutes. Yes, buying online took some getting used to. It felt like I was cheating. Not doing it the right way. But once I got started, I never looked back. I used the last of the kitty litter. Looked at my watch. All the stores were already closed. My wife reminded me we needed Bacitracin ointment for my son’s boo-boo under his chin. What I’m calling a boo-boo are actually three stitches he received at his first trip to the emergency room. He tripped and fell at home last week, while I was standing guard. A couple days later, a colleague, who is a father with daughters tried to be helpful after hearing my story, and he suggested that scars give boys character. All this happened while my wife and I were in the middle of final preparations for our son’s birthday party. And had I put off getting his birthday present to the last minute? Of course. It’s now 10:30pm – I need help. Time to sit down and boot up. Hello Amazon Prime! Amazon had about twenty options, though not all were offered on the Prime plan. I chose Arm and Hammer and clicked through. Almost immediately, the Bacitracin ointment was on its way! It was a Kettler tricycle that my wife was talking about. Here it was on Amazon. Sweet. 11:00pm – I’ve hunted. I’ve gathered. Mission accomplished. This particular shopping expedition was an expensive one, because of the Kettler bike. But often, I’m just picking up little things here and there. The beauty of Amazon Prime is you don’t have to worry about meeting minimum order amounts to get the free shipping. And it’s wicked easy to return the occasional item. So you can buy with as much haphazard organization as life requires. You can see how the $79 Prime fee pays for itself really quickly. And it even has its own fledgling video streaming service that competes with Netflix. That’s a nice bonus, but it’s not really why I’m so excited about Prime. For the past two years, I’ve had a little bet going with myself that I’ll never have to run out of the house at the last minute to buy diapers. Amazon Prime doesn’t work for everything. But it comes pretty close.